Reese has finally graduated to her BIG girl bed, and everything else is s l o w l y coming together. The bed belonged to Tim as a child. We repainted it and now it looks good as new! Don’t be afraid to paint old furniture; it’s fairly simple, plus it makes for a great vintage look. 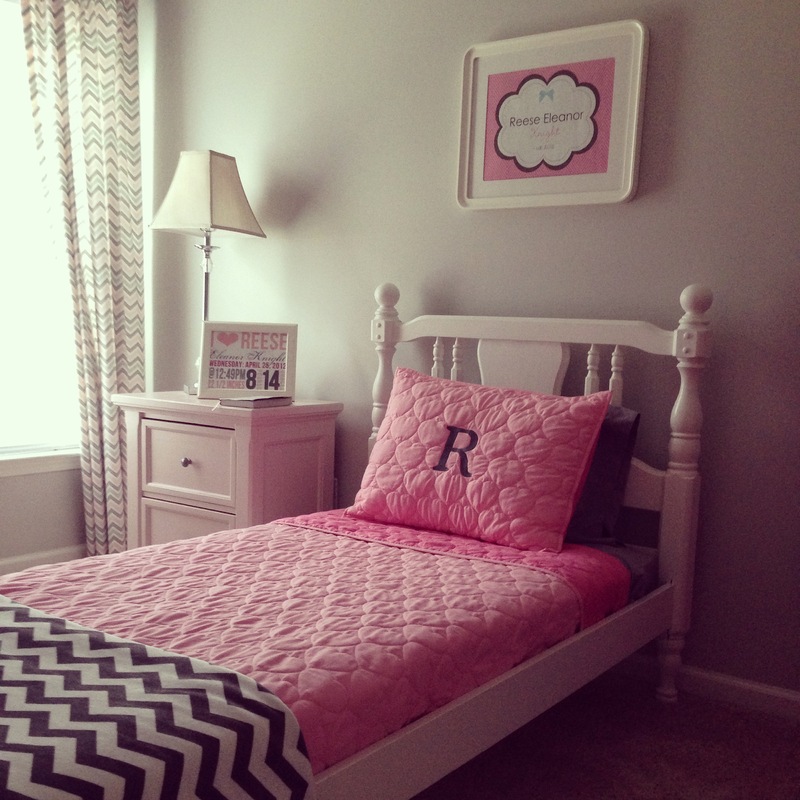 All the furniture pieces that make up Ree’s room we painted ourselves: the bed, dresser, nightstand, hope chest, and mirror. I call it the “Painter’s Blue Light Special Room.” I just can’t help it; I’m a practical gal who loves anything old with sentimental value. Overall, I’m loving how everything is coming together, but I do want to make changes to this area (see below). 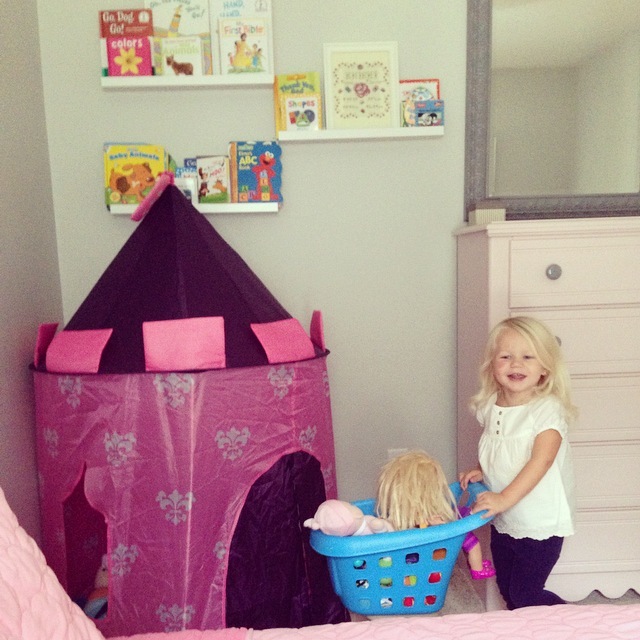 The castle in Ree’s room is from Discovery Kid. She absolutely loves it and she stores all of her babies in there. It serves a great purpose, but I’m on the hunt for something to make that area more of a reading nook. Before the castle, we had a rocking chair in place, which is where I would rock and read to her as a baby. Sniff, Sniff. 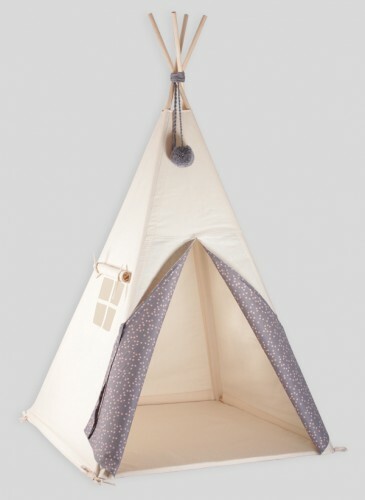 Since the bookshelves are still up, I’ve been looking at teepees or canopies to transform that corner of her room into her very own reading nook. 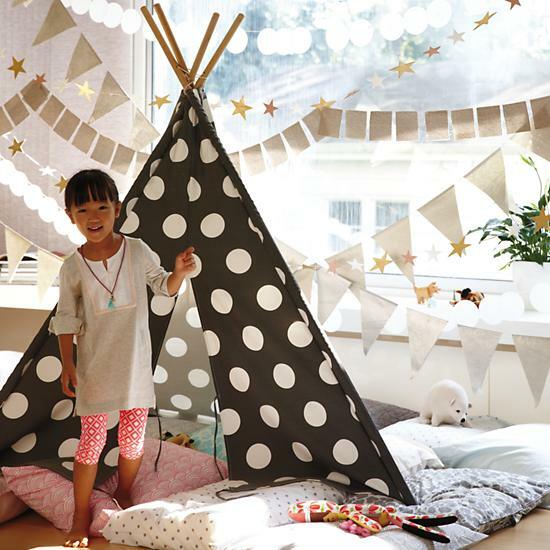 Teepees look like a lot of fun, and as a huge bonus, they fold up and can be easily moved. I like how this one is smaller. And then there is the canopy. I’m just in love with these from The Land of Nod. 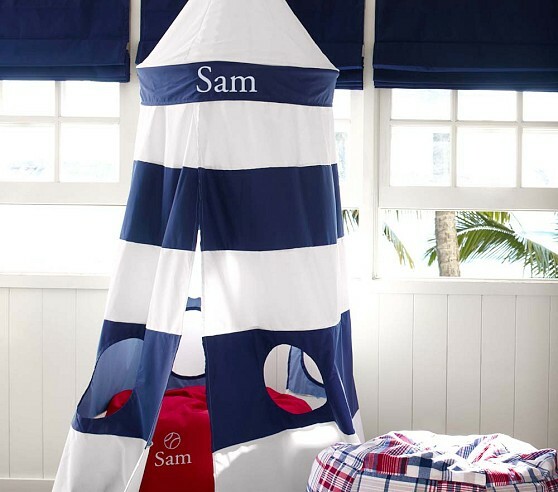 I’m saddened Pottery Barn Kids discontinued this canopy. 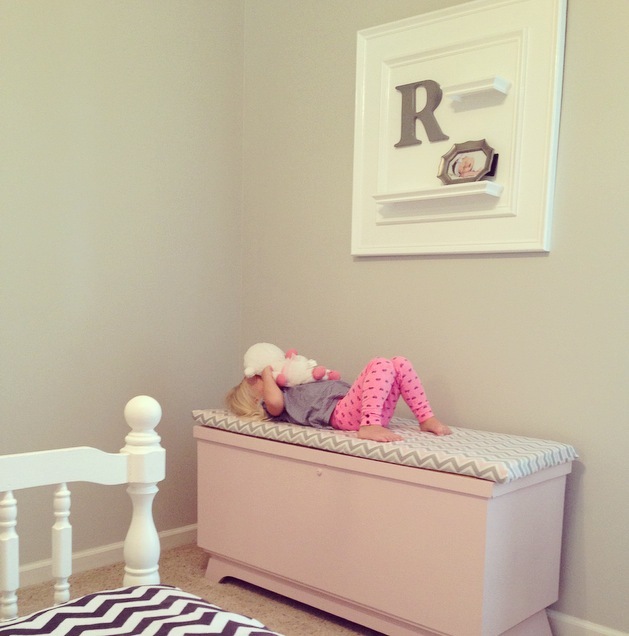 This would have been perfect in Evan’s room. My husband and I are all about recycling our old furniture we used and abused as children, by transforming them into a beautiful piece our children can use now. Tim and I actually have all of our old beds stored in our garage; full and queen size frames just waiting to be painted! So go rummage through your parent’s attic and claim your old furniture to pass along to your children!